Below you can find a list of our staff with contact details for many, as well as a list of who is currently serving on our Board of Trustees. As a registered charity we are governed by a Board of Trustees. It is made up of six elected members, alongside appointed members and representatives of Lewisham Council and our resident organisations. Trustees are elected from and by the Albany’s membership at every Annual General Meeting for three-year terms. Find out more about becoming a member by following this link. If you want to get in touch but you’re not sure who to contact, you can call us on 020 8692 4446 or there are some useful emails and links below. You will also find contact information for individual areas of our work on individual pages throughout this website. If you want to work with us, please visit Jobs and Opportunities all current opportunities are listed there. 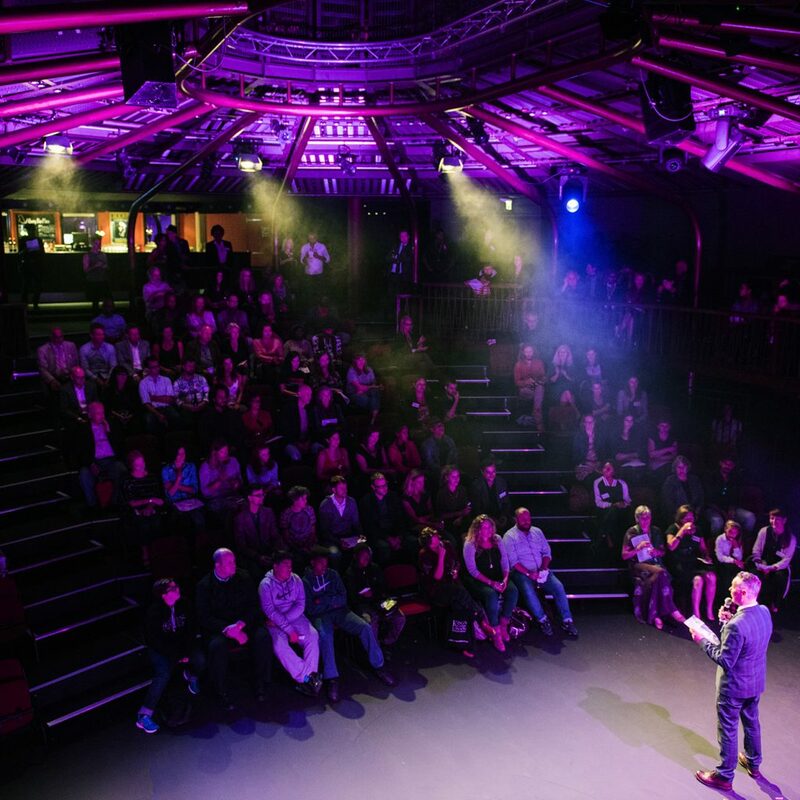 If you’d like to pitch a project or show, please visit our Artistic Policy page to find out how and for details of the type of work we look for and support. Top image shows an event in the Albany mainspace. Photo Camilla Greenwell.